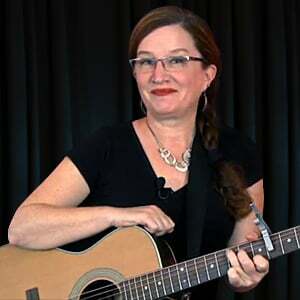 In this lesson, we'll use the concept of the "two chord", the "three chord", and the "six chord" to figure out what the minor chords are in the key of E.
For better or worse, the minor chords in this key all turn out to be best made as barre chords. Oh well. But I will talk you through a hybrid version you can use in a pinch. And we'll get to those real barre chords later in the course. So, in the key of E, the minor chords will work out to be F#m, G#m, and C#m.